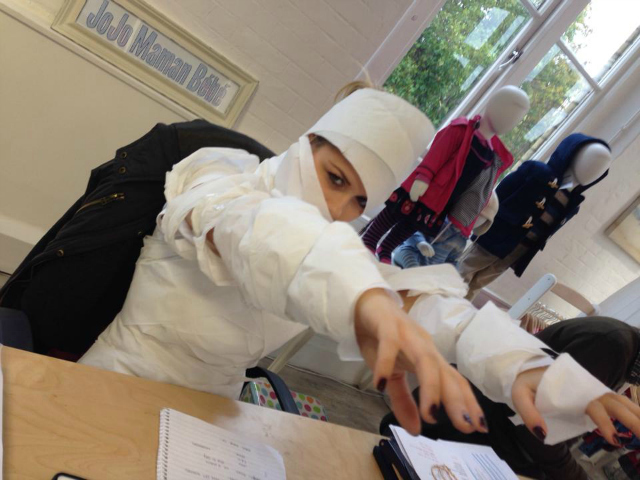 Whilst we at JoJo know that Halloween is an American import and not traditionally British, being a creative lot we just love any and every opportunity to get stuck into the festivities. 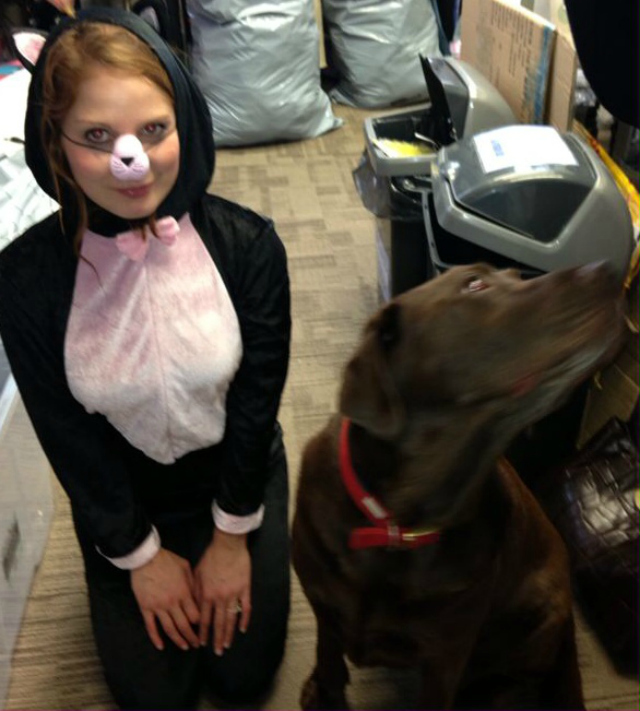 With Halloween upon us, the team donned their creepiest costumes for a day of ghoulishly good fun. 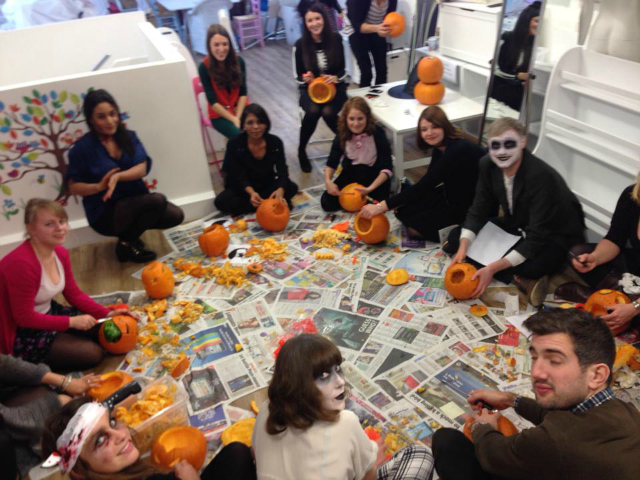 We kicked off with petrifying pumpkin carving, with the team meticulously cutting out their designs. Not surprisingly, we had some real artists among us, with a quite a few innovative designs produced. 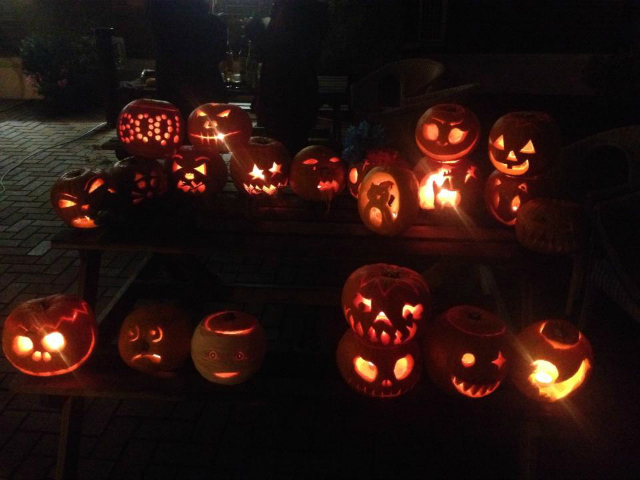 With the crown for best pumpkin carver up for grabs, competition was fierce. 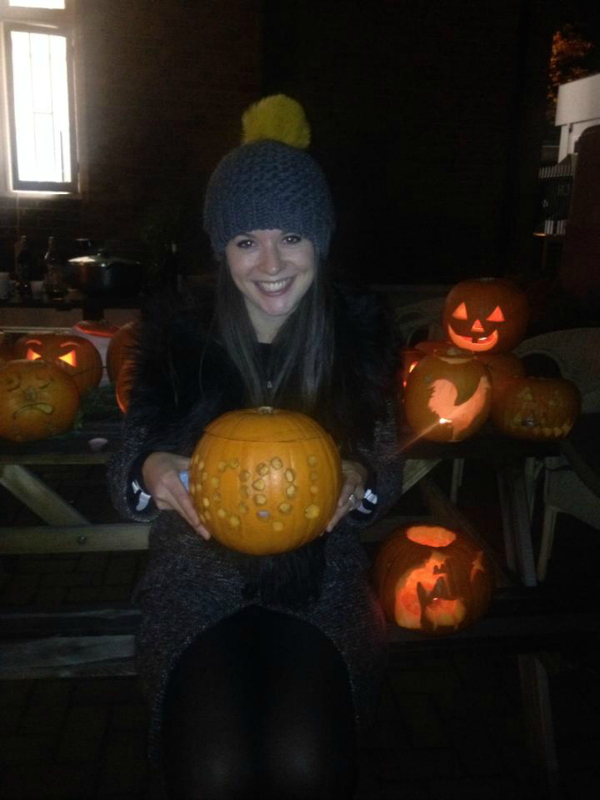 The difficult job of judging was down to marketing director Emma B, who after much deliberation, chose designer Emma H’s beautiful “Boo” creation as the winner. 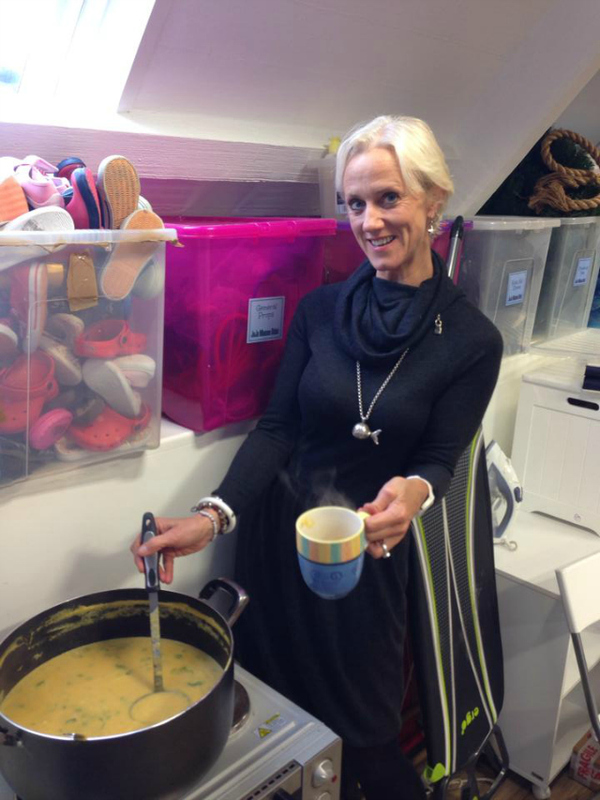 It really was pumpkin galore – for lunch, a delicious pumpkin soup made by our devilish directors (JoJo MD Laura and marketing director Emma) was dished up. 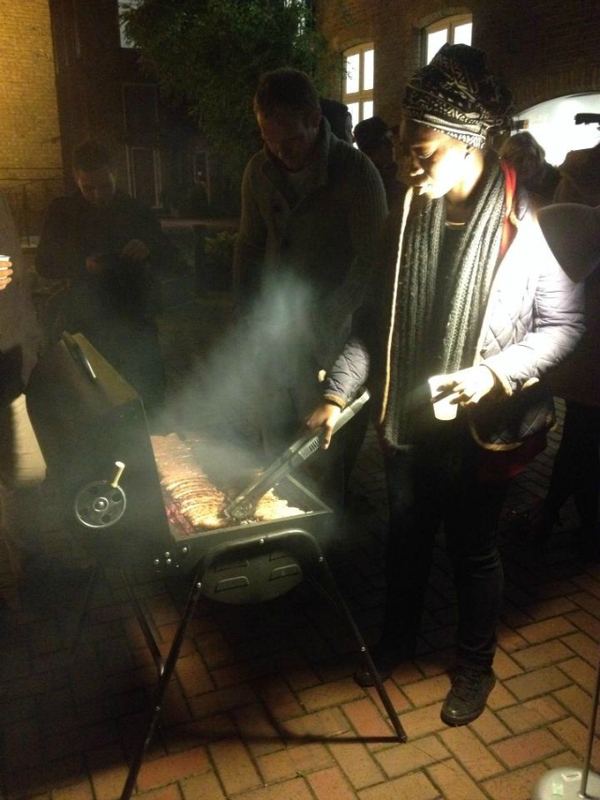 The culinary creations didn’t stop there – as evening descended, buying director Harriet began brewing her special mulled cider to accompany the sausages and marshmallows being roasted on the fire. 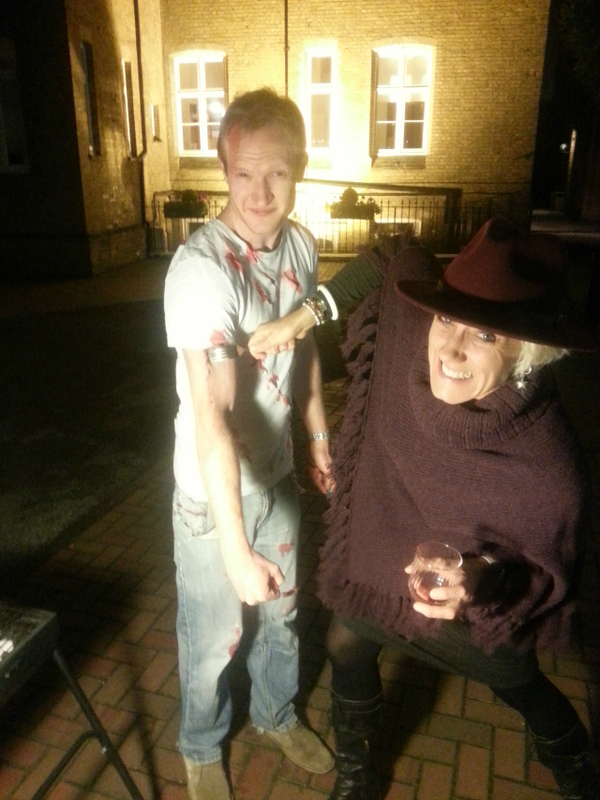 Next came the unleashing of the most blood-curdling costume, won by garment technicians Nicky and Fran. It’s fair to say that we all had a scream – did you? Don’t forget to send in your photos of your little ones in their fancy dress costumes! 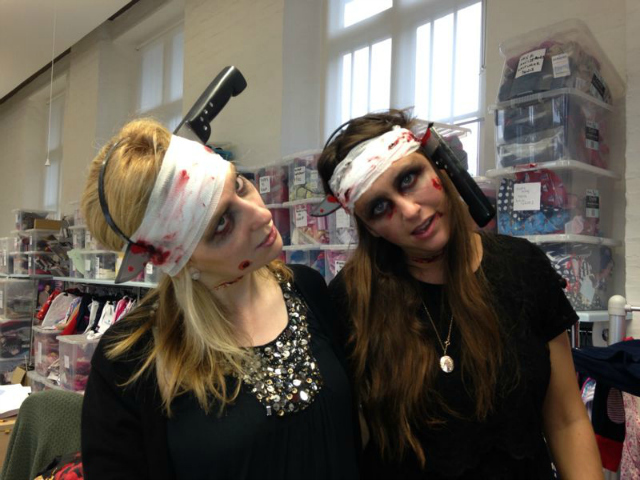 Scroll down for the photos, but please beware – they may be VERY scary – proceed at your peril! Let the pumpkin carving commence! ← Children’s Christmas Jumpers – Got Yours? Fabulous time. Thanks all for being such fun to work and play with!